Save the mama low neck T-Shirt. 100% Cotton. Serigprahy. All benefits will be donate for fighting against breast cancer HER2+. Save the mama unisex T-Shirt. 100% Cotton. Serigprahy. All benefits will be donate for fighting against breast cancer HER2+. Save the mama sweatshirt. 50% Cotton 50% Polyester. Designed and made in Barcelona. all benefits will be donate for fighting against breast cancer HER2+. 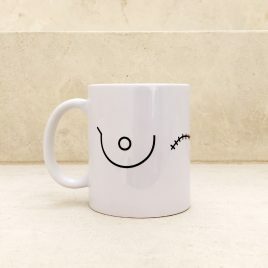 Save the mama mug. Pocelain. All benefits will be donate for fighting against breast cancer HER2+. 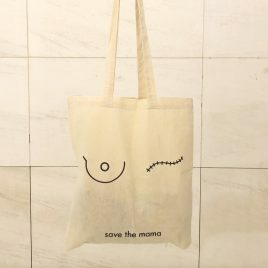 Save the mama tote bag. 100% Cotton. Designed and made in Barcelona. All benefits will be donate for fighting against breast cancer HER2+. 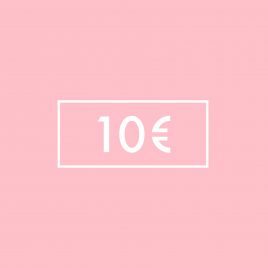 10€ donation to save the mama against HER2+ breast cancer society. All benefits will be donate for fighting against breast cancer HER2+. 30€ donation to save the mama against HER2+ breast cancer society. All benefits will be donate for fighting against breast cancer HER2+. 20€ donation to save the mama against HER2+ breast cancer society. All benefits will be donate for fighting against breast cancer HER2+. 50€ donation to save the mama against HER2+ breast cancer society. All benefits will be donate for fighting against breast cancer HER2+.